Viewing 1 current event matching “docker” by Date. For the second time in Cloud Native PDX history, we will be having a joint meetup with OpenStack (now the Open Infrastructure Meetup). This is also our first-ever Southwest Portland meetup. Two speakers will share their experiences in Kubernetes and OpenStack. Pizza, beverages, and raffle will round out the evening. With containers becoming the desired deployment model for a wide range of workloads such as Big Data, IoT, storage, AI, ML, SDN and NFV solutions, container orchestration tools like Kubernetes, need to evolve to meet stringent networking and resource management requirements for optimum utilization of compute, network and storage. Such application generate large volume of data that needs to be securely transferred in and out of storage and over the network and inherently require compression and encryption which makes them computationally expensive. Offloading such operations to the hardware accelerators results in better CPU utilization and improved application performance. Viewing 58 past events matching “docker” by Date. PDX venue for the global docker hack day. Join us for the next Docker Portland Meetup. This event will be hosted at New Relic, Portland. Adron Hall will be presenting what Docker is good for, where to use it and what else it might be an excellent fit for. Jesse Dearing will present a lightning talk about drone.io. 6:00 to 6:30: Docker basics: What, Why? Join New Relic, Rackspace, CoreOS and Docker for a special OSCON meetup on Wednesday, July 23, 6-9:00 pm at the New Relic offices. You'll learn more about CoreOS and Docker, mingle with some of the top CoreOS and Docker contributors, get your questions answered, try out craft beers from around Portland and snack on some tasty food. Thanks to our gracious host, New Relic, and to Rackspace and New Relic for providing the drinks and bites. Space is limited. To confirm your spot, please RSVP on Meetup as well as on the Eventbrite page, https://www.eventbrite.com/e/coreos-docker-oscon-meetup-brought-to-you-by-new-relic-rackspace-tickets-12202480949. See you at OSCON. Mike Perham will be speaking about inspeqtor, a monitoring solution written in go(http://mikeperham.com/2014/10/02/introducing-inspeqtor/). As usual, volt will be providing Pizza. Have you ever been excited to tinker with a software project, only to have trip Dependency Hell ruin all of the fun? Technologies like Docker aim to take the pain out of spinning up support services and installing runtimes. Join in as we scoff at the demo gods and create a complete Rails stack—web server to database—from scratch, without installing any software. Swing by Quick Left for some foodz on us and your open ears to listen to one of our expert consultants in this Engineering Lunch tutorial. Code4Lib 2015 is a loosely-structured conference that provides people working at the intersection of libraries/archives/museums/cultural heritage and technology with a chance to share ideas, be inspired, and forge collaborations. Preconferences are 1-day or a 1/2-day events and workshops that will occur on Monday, February 9, 2015. Register for full day or half day preconference through http://c4l2015.eventbrite.com. Registration for preconferences uses the same form as conference registration, but you DO NOT need to register for the main conference to attend a preconference. Please show your interest in particular preconferences by adding your name to the list on the wiki page linked above. For more information about the Code4Lib community, please visit http://code4lib.org/about/. Our team will be in Portland and we'd love to meet you all in person. So don’t be shy--come say hi! The event will be focused on providing many opportunities to meet and greet the Google Cloud DAs and talk to them face-to-face in a social atmosphere. We will offer "topic tables" where people can just meet and discuss topics of interest to them. And we will have hors d'ouvres and refreshments, of course! Docker and Linux Containers are the next generation of technology for developers and sysadmins. The evening will include presentations about container projects by folks in the area. Presentations are TBD still (We'll post updates here), and if you have a presentation that you'd like to make, please feel free to contact us to let us know! Food and drink (alcoholic and non) will be provided. Bio: Currently an Infrastructure Engineer at the OpenStack Foundation, Clark is a core member of OpenStack's infrastructure team where he helps build and run OpenStack's developer tools. When not tending to the robot test army, Clark can often be found brewing beer and smoking brisket in his brother's back yard. Abstract: Continuous integration is great, it provides up to the minute news onyour silly mistakes. Thankfully it is relatively easy to start runningtests continuously. Install a Jenkins server, configure some jobs, then watch the little red balls turn green. Unfortunately the "configure some jobs" step can get complicated when it becomes "configure a useful number jobs". To fix this problem we have developed a tool called Jenkins Job Builder (JJB) which uses a simple, easy to read language built on yaml to configure jobs. It supports templating, macros, and best of all you can edit your jobs in a text editor. Since jobs are stored in human readable text files you can also track all of your jobs in your favorite version control system. I will run us through installation, configuration, and job building with JJB and have us all free of the Jenkins web UI for job configuration. Abstract: Docker on a laptop is easy, but Docker in the cloud is hard. What makes that transition so hard, and what can we do about it? How does this challenge affect the hosting infrastructure and application design? Casey will share lessons learned so far and further questions uncovered in Joyent’s work to build support for Docker in public and private cloud environments (including the open source http://github.com/joyent/sdc and https://github.com/joyent/sdc-docker). Bio: Casey Bisson has done time as a systems engineer, software engineer, writer, librarian, open source founder, information architect, and director of engineering for Gigaom prior to joining Joyent as the product manager leading development of SmartDataCenter for container-optimized on-premises and hybrid clouds. He may be color blind, but he compensates with a wardrobe of clashing patterns. We have a speaker and a half for this meeting with a focus on windows. Aaron Jensen: Aaron discovered programming over 14 years ago, and has never looked back. He specializes in making developer-focused tools and automating everything he can. He's spent most of his career working with Microsoft technologies, but did run his own OS X server for several years, so knows Perl, PHP, and Ruby on Rails exist. For almost 7 years he has worked for WebMD Health Services. He is currently obsessed with PowerShell and weeps whenever he sees a batch script or someone using cmd.exe. His open-source project Carbon, a PowerShell module for automating the configuration of Windows servers and workstations, has been downloaded over 2,000 times, probably by the same person. He loves chocolate, movies, video games, table-top games, TV, books, and using movie quotes in situations only he understands. He hates yard work, taking out the garbage, owning a house, and his therapist, but probably not in that order. He lives in Beaverton with his wife, two kids and the money he is saving for his children's future therapy bills. You can watch him remain silent on Twitter @splatteredbits. In Q2 2014, we piloted Desired State Configuration at WebMD Health Services. Come learn about our DSC authoring platform and patterns, security, how we use DSC to configure applications on developer computers, configuration deployment, and lessons learned." Nick Chappel (who everyone should know at this point) may also be giving a brief talk on building windows flavored vagrant machines. New Relic is continuing to host us and Volt is continuing to provide pizza. Gluten Free options will be available. Contact Spencer if you have any specific requests. For Docker's 2nd birthday they've been planning something that we think is pretty amazing and really want the Go community to help make it successful. During the week of March 23rd, the docker community will be hosting over a dozen open-source-a-thon parties around the world. At these parties the Docker core team and expert developers from the broader open source community will teach and guide participants on how to contribute to open source. Contributions to the project at these events and in the weeks following will count toward Docker’s donation to the Oceanic Society and its mission to conserve the habitat of Moby Dock and blue whales across the planet. There will also be an online event the following week in the event that you are not able to participate in person or would like to help mentor online as well. More information will be available at http://docker.party in the upcoming days. This month, our FutureTalks speaker series is joining forces with WWC, as we host seven engineers from New Relic giving brief technical talks about their work, all emcee'd by our very own Liz Abinante, who presented at our February event. Next Monday, June 8th will be the 4th Networking Night of their series. Alice Goldfuss - "Docker in a Flash"
Ashley Puls - "Why, When, and How to Measure Performance"
Kate Morrow - "Jelly Bean Trails and Middle-points"
Katherine Wu - "Moving from ActiveRecord to a Service"
Katie Leonard - "Upgrading Rails"
Zoe Kay - "Upgrading Rails"
› Doors will open at 5:30 for a 30-minute networking happy half-hour! The food, beer and drinks are provided by Bellagios and New Relic. The presentations will begin right at 6p. Please make sure to RSVP on the meetup page! Thanks. This month we have two great talks by Carl Caum from Puppet Labs and Mike Coleman from Docker! Agenda: 6:30 - Welcome, networking, food and drinks thanks to Intel and Sumo Logic 7:00 - Carl Caum: Adopting Docker in today's IT As IT teams plan to deploy Docker, they are often looking for the shortest path to get from where they are today to where they want to be with Docker. One challenge is getting the Docker runtime deployed on operating systems already approved by IT and part of existing deployment processes. Once the runtime is deployed, teams need to quickly start managing their container apps across the available cluster nodes. Finally, teams need a clear path to integrate Docker management technologies like Docker Universal Control Plane into existing change management and delivery processes. Using configuration management tools to deploy the docker runtime, sync Docker images, and ensure containers are running where desired with the desired runtime configuration. Using configuration management practices of identification, control, status accounting, and verification/audit to manage Docker infrastructure over time Build Docker infrastructure change management processes leveraging infrastructure as code to enable continuous peer review, audit, and replication. Carl Caum is a technical marketing manager at Puppet Labs with a background in systems administration, software development, and product management. He specializes in IT cultures with a focus on how tools can be leveraged to enforce cultural change in otherwise stagnant IT organizations to increase collaboration and job satisfaction. He tweets at @ccaum. 7:45 - Mike Coleman: Docker Announcement Docker has an announcement and Mike is going to review the newest features of the Docker platform. This will be updated with more information after the public release. Mike Coleman is a Senior Technical Marketing Engineer at Docker. He tweets at @mikegcoleman. Special thanks to Puppet Labs for space and Intel and Sumo Logic for food and drinks! Cloud Native PDX will be hosting our first meetup on May 4th, featuring Kelsey Hightower demonstrating the features of the recently released Kubernetes 1.2. If you're interested in building container-based scalable infrastruture, or just want to learn more about Kubernetes, join us! Refreshments sponsored by Google and Red Hat. This month we will have talks by Jérôme Petazzoni from Docker and Tom Trahan from Shippable! Continuous Integration (CI) helps developers and ops teams ship more code faster. And with Docker, the pains of friction between these two groups is radically reduced by having predictable reusable environments. Tom will talk about how teams can think about this new world of application pipelines, show how CI works in Docker with Shippable, and shares some of our experiences in implementing Docker to accelerate application delivery. Tom Trahan is the VP, Business Development of Shippable, a venture-backed startup providing hosted continuous delivery platform built on containers. Previously, Tom was Co-Founder and CEO of EnterPAS, a software startup providing records management and change control for FDA-regulated companies, a director at Microsoft focused on IT enterprise application development and operations, and a consultant at SAP. Tom spends his free time with his wife and two boys, coaching youth sports, traveling and playing guitar. You can find him on Twitter as @Tom_Trahan. Getting started with Docker is relatively straightforward:install the Docker Engine, write Dockerfiles for your application components, and put those components together with a Compose file. At this point, your application can be quickly and reliably deployed on any Docker installation, anywhere, in minutes. Great! How do we take this to production? How do we scale from the single-node setup to a multi-node, highly-available cluster? Through a whirlwind of live demos, Jérôme will show how to provision a Swarm cluster with Docker Machine, setup overlay networks, host a local registry, deploy ELK to manage logs, implement load balancing, and finally use the resulting platform to build, ship, and run a demo application built around a microservices architecture. Jérôme works at Docker, where he helps others to containerize all the things. He was part of the team that built, scaled, and operated the dotCloud PAAS, before it became Docker. When annoyed he threatens to replace things with a very small shell script. You can find him on twitter as @jpetazzo. Special thanks to New Relic for space and Shippable for food and drinks! We will have talks by Adrian Cockroft from Battery Ventures and Mike Coleman from Docker! Mike is responsible for creating technical content to help customers come up to speed on Docker and its related components. Prior to joining Docker this summer he spent about 15 months at Puppet Labs working in product management. And, before all that he spent time at VMware, Microsoft, Intel, and HP in both product management / marketing as well as IT engineering. Outside of work Mike enjoys riding his motorcycles around Oregon's backroads, spending time with his wife and kids, and supporting the Portland Timbers (that's a soccer team). You can find him on Twitter as @mikegcoleman. Discussion of techniques to solve common problems that people run into when microservices are in production and being updated continuously in large organizations. He graduated from The City University, London with a Bsc in Applied Physics and Electronics, and was named one of the top leaders in Cloud Computing in 2011 and 2012 by SearchCloudComputing magazine. He can usually be found on Twitter @adrianco. Special thanks to Puppet for space and Century Link for food and drinks! We'll be having a meetup to celebrate the first anniversary of the Kubernetes 1.0 release, which we'll do by talking about the 1.3 Release. Kubernetes 1.3 was released a couple of weeks ago. It includes PetSet, AutoScaling, and more. Josh Berkus will talk about a bunch of Kubernetes 1.3 features, especially PetSet. He'll demonstrate the ones which are practical to do. Since this is the first anniversary of Kubernetes 1.0, we'll have STUFF! Such as stickers, coloring books, and other swag. Also cake! This meetup is sponsored by Urban Airship, Google, Red Hat and the Cloud Native Computing Foundation. IMPORTANT: Due to limited venue capacity, you MUST RSVP via Meetup for this event (see below if you don't use Meetup). Containers allow us to deploy, ship and run the same application everywhere in a fast and distributed fashion. They are a foundational technology for the cloud where they define a brave new virtualized world for users, developers and administrators. With containers usage rising, the cloud ecosystem is more and more fragmented. Cloud builders need to choose between legacy, secure, long term running virtual machines and new, fast and easy to deploy containers. Clear Containers close that gap by providing hardware virtualized containers. With containers actually running within virtual machines, Clear Containers combine container flexibility with hardware isolation. Here we will present how we managed to drastically reduce virtual machine boot times and memory footprint in order to reach container customers expectations for server density and application sub 50 ms startup time. We will also show how this technology flawlessly integrates with the main container runtimes for Linux: Docker and Rkt. Kick off your journey to becoming a DevOps master by learning Kubernetes from the ground up. We will start with an introduction to etcd and distributed consensus, then learn about Kubernetes APIs and object primitives. By the end of this hands-on workshop you’ll be ready to deploy, manage, and scale container-based solutions using Kubernetes. Bring a laptop to follow along! The Container Summit City Series brings expert practitioners and key container ecosystem leaders together to present user stories, share best practices, and give insights into the containerized future. City series will be stopping in Portland on Thursday, October 20th! Join expert practitioners and key leaders in the ecosystem for an evening of real user stories, best practices, and key insights into the containerized future. This is a great opportunity to connect with other professionals in the community over a beer (or two), and great content! We will have talks by Nan Liu from Intel and one TBA. The location for this Meetup is at New Relic in downtown Portland. There will be food and drinks courtesy of New Relic! 7:00 - Nan Liu: "Trust but verify. Testing docker containers." Nan Liu is a Software Engineer at Intel Software Defined Infrastructure (SDI) team. He is passionate about automating all things infrastructure related. He has traveled globally to train and consult customers on automating application deployments, and implementing continuous delivery pipelines. He draws from experience building vCloud Air at VMWare and he is one of early member of Puppet Labs professional services team. He coauthored 'Puppet Types and Providers' based on his experience extending Puppet for numerous third party integrations. Paid registration required from the CNCF website. Members of CNPDX, Docker, Linux or other meetups can use the discount code "MEETUP50". Go! Socialize with other Cloud Natives! Bring your boss! The Docker PDX and Women Who Code PDX meetups invite you to come join us at Intel's Jones Farm campus for a talk by Steve Lasker from Microsoft and to celebrate Docker's 4th birthday! Visual Studio for building .NET Framework apps in Windows Server Core containers and .NET Core in Linux containers. Steve is a Program Manager at Microsoft, focusing on the end to end development with Docker Containers. We’re excited to celebrate Docker’s birthday by providing labs and challenges to help everyone learn Docker and welcome new members into the community. We will partner with CS schools, global language communities and local meetup groups to throw a series of events around the world. While the courses and labs are geared towards those who are new to Docker, intermediate, advanced and expert community members are invited to join these Docker Birthday celebrations as mentors to help attendees work through the materials. Attendees will break into groups (at different tables) and participate in a lab or challenge of their choosing. Are you an advanced user? We strongly encourage Docker users of all skill levels to attend! We need a network of mentors who understand the Docker platform to answer any questions that attendees working through the courses and labs may have. Click here to sign up as a mentor. Kubernetes (https://kubernetes.io) is an open-source system for automating deployment, scaling, and management of containerized applications. Kelsey Hightower (Google) has been one of the most prolific evangelists of Kubernetes since its launch. Come join us at Jive for a discussion of what's coming with the 1.6 release! YOU MUST RSVP AT THE MEETUP SITE, thanks! Didn't travel to Austin to attend Dockercon 17? No worries, just stop by the April Docker Meetup and Mike Coleman from Docker will catch you up to the latest DockerCon news. 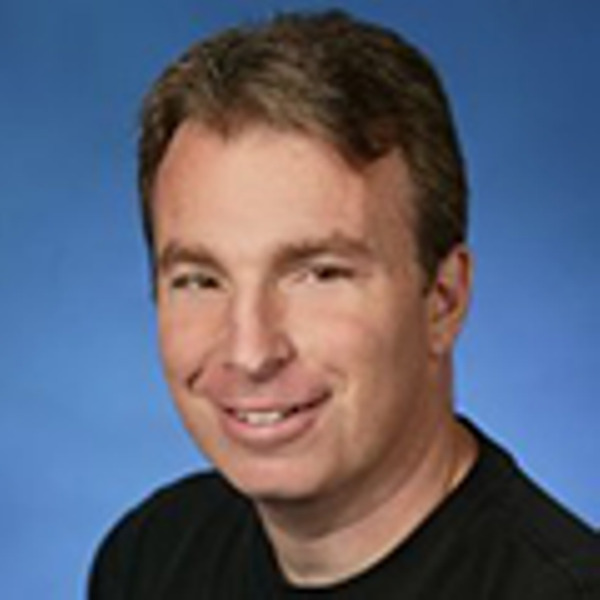 Steve Lasker from Microsoft will present the lift and shift of .NET FX apps into Windows containers, and modernizing with .NET Core on nano server with Visual Studio. 6:30 - Mike Coleman - "DockerCon Recap"
7:45 - Steve Lasker - "Lift & Shift .NET FX apps into Windows Containers, Modernize with .NET Core, all within Visual Studio"
Abstract: Visual Studio 2017 supports migrating .NET FX apps into Windows Containers enabling developers, and ops, to migrate those existing and heritage apps into modern workflows and deployments. We’ll also demo the .NET Core with Windows Server Nano tooling that will be soon released. With Visual Studio 2017, developers can now use the tools their used to, while staying true to the docker experience. Come see how you can develop and debug your apps in Windows Containers and share your experience with the Azure Developer Experience team. Red Hat's Ben Kero will be talking about deploying a Kubernetes cluster on your own OpenStack cloud or a public cloud, then using OpenStack's load balancer resources to handle your app's ingress traffic. Given time and inclination he might also talk about creating an OpenStack-Kubernetes sandwich (Tur-cloud-en). Our June meetup is scheduled at CloudAbilty! Please RSVP on Meetup.com for an accurate headcount, if you can. "CRI-O, a runtime for Kubernetes"
While most people use Kubernetes with Docker, it's not limited to using just Docker. Josh will demo CRI-O, a minimal container runtime designed for meeting Kubernetes' container needs ... and no more. "Using OVS-DPDK, VPP and SRIO-V with Clear Containers"
Using OVS-DPDK, VPP and SRIO-V with Clear Containers Clear Containers is an Open Containers Initiative (OCI) “runtime” that launches an Intel VT-x secured hypervisor rather than a standard Linux container. A brief introduction of Clear Containers will be provided, followed by an overview of CNM networking plugins which have been created to enhance network connectivity using Clear Containers. More specifically, we will give an overview of DPDK, OVS, VPP and SRIO-V, followed by demonstrations of using OVS-DPDK, VPP and SRIO-v based networks to connect Clear Containers. First, Happy Kubernetes Birthday! This will be our Kube Birthday meetup, so we'll have cake. If you have semi-portable hardware to install Kubernetes on, with any architecture, please let us know in the comments and bring it along. Please RSVP on meetup.com if you are able to. One of the dreams of development is to build a software package once, then be able to deploy it anywhere. Come to this talk to learn how to create software packages that run (almost) anywhere. You will see how the same application can be run on bare metal, on a VM, or in a container - with everything needed to automate that application already built into the package itself. This even works with a mixed infrastructure - metal for your static compute heavy loads, vms for your persistent data stores, and ephemeral short lived containers for your applications managed by Kubernetes or other container scheduling services. 6:30 - Nell Shamrell-Harrington - "Habitat"
Come to this talk to learn how to build and deploy Habitat packages with the intelligence to self organize into topologies, no central orchestrator needed. Learn how the dream of platform agnostic and self organizing packages is fulfilled today and where it will evolve in the future. Christopher Liljenstolpe of Tigera will be giving us a primer on Kubernetes networking, followed by showing the current features and advantages of Project Calico, a container networking tool. This meetup is hosted by RADAR, who will also be providing refreshments. Have you been wondering how to deploy multi-pod, multi-software applications on Kubernetes? This is what Helm is for! Come watch Scott Sumner of CoreOS demonstrate deploying a full data collection & search platform including Elastic Search, Kibana and Fluentd using Helm. This event is in coordination with the Helm Summit (https://helmsummitpdx-feb2018.splashthat.com/), and the meetup is sponsored by CoreOS (https://coreos.com/). PLEASE RSVP ON THE MEETUP PAGE IF YOU CAN so that we can get an accurate headcount. Thanks! Please RSVP on Meetup.com if you can, so that we can get a headcount for ordering food! Kubernetes 1.10 will release (hopefully) on the 26th. So, first, Josh Berkus of the Kubernetes 1.10 Release Team will be presenting "What's in 1.10?" including Advanced Auditing, CronJobs, Dynamic Kubelet Configuration, Persistent Volume Protection, and more. Next, Dan Anolik will present "Continuous Testing of Containers". He works at Cambia Health Solutions where his team containerizes everything, including the API tests for every service container. He'll demonstrate their solution for automated testing of containers during CI/CD workflows, and again later in runtime clusters. Dan's team makes strong use of Cucumber for API tests, and Docker Compose for managing our mock environments, but the techniques would work across multiple frameworks. First, Chris Foster will share his tips for Security Docker on the Cheap. Better Docker security doesn't have to use expensive tools to achieve. Following a few security practices and using DE built-in features, along with some free, open source tools, can significantly raise the standard. We'll take a look at some things that can bring higher security without breaking the budget. Next, Eric Ernst will demo KataContainers, a way to combine hardware virtualization with Kubernetes containers for more isolated, secure services without sacrificing startup times. In this talk he'll provide some background on the Kata Containers project and describe how Kata Containers works with CRI-O and Kubernetes. Then, he'll walk you through creating a K8S configuration which uses a mix of runc and Kata containers to secure workloads with varying levels of trust. RSVP Required see RSVP instructions below! May is all about SERVICES! Particularly, Service Meshes and the Open Service Broker. The creators of the CNCF-hosted Linkerd service mesh, Buoyant, recently introduced Conduit--a new, ultralight service mesh made explicitly for Kubernetes. In this talk, Buoyant engineer Carl Lerche will introduce you to Conduit, its design philosophy, how it’s used to add reliability, security, and visibility to Kubernetes applications, our motivations for writing the Conduit data plane in Rust, and how to get involved. Kubernetes lets us write crazy-powerful apps these days, and all three clouds will host it for you in some shape or form now. The result is that our apps are mostly portable, but there's more work to do in this space. Aaron Schlesinger of the Microsoft Azure Containers group explains. Databases are hard to maintain if you run them in Kubernetes. Same with pub/sub systems, or any combination of stateful and data really. Sometimes we just want to hook our apps up to the cloud equivalents of these things, so we don't have to manage them. How do we do that in a portable way? Enter the Open Service Broker (OSB) API and Kubernetes Service Catalog. Learn how to connect your apps to all your favorite cloud services without ever opening the portal or using the CLI. It's the same OSB API for all the clouds, and the same Kubernetes Service Catalog resources for any cluster. We're getting to a place where you can get the services you need without caring what cloud your app runs on. RSVP Required for this venue. Either RSVP via Meetup.com (preferred), or send email to josh(at)berkus(dot)org with your full name that matches your ID. All RSVPs must be received by 4pm May 16th. Please RSVP to this event via Meetup.com if you have an account there! For June's meetup, we're talking about a technology/API that everyone designing microservices will need to deal with sooner or later: OAuth. Or speaker is Aaron Parecki of Okta. "The OAuth 2.0 authorization framework has become the industry standard in providing secure access to web APIs. OAuth allows users to grant external applications access to their data, such as profile data, photos, and email, without compromising security. However, OAuth can be intimidating when first starting out. In this talk, Aaron Parecki will break down the various OAuth workflows and provide a simplified overview of the framework, highlighting a few typical use cases." We will also have a brief update on what's coming in Kubernetes 1.11, by Josh Berkus of Red Hat. This meetup is hosted and sponsored by Mozilla! Jul 7, 2018 Want to know how Microservices is a Game-changer? Sean Canton shares will share his vast experience with Microservices. For J̶u̶l̶y̶ early August, we will be having two different orchestration tools presented! Mike Petersen of IBM will take you through the basics of deploying a multi-container service on Kubernetes using Helm. Helm is an application manager that helps you compose, manage, and deploy containerized applications. Christie Koehler of HashiCorp will present Nomad, a general purpose cluster scheduler that can be used to build a multi-regional runtime environment for a diverse set of workloads including non-containerized applications. When realizing cloud-native architecture, the integration of the microservices is becoming really challenging. In this talk we will discuss some of the cutting-edge technologies that are designed for integrating microservices, independently deploying the services along with CICD and make them resilient using a service mesh. We will cover a stack of tools to address this problem, including Ballerina (a cloud-native programming language), Metaparticle, and the Istio Service Mesh, and demonstrate how all these work together. Along the way we will discuss the problems of integration in more depth, show you some of the Ballerina language, and share some integration patterns. a Docker/Kubernetes extensions. This meetup is hosted by Cloudability, and sponsored by WSO2.com. For an opening act, CNPDX organizer Josh Berkus will demo a walk-through of deploying high availability PostgreSQL as an application on Kubernetes. This talk will introduce TiDB's architecture, key use cases, a user story with Mobike (one of the largest bikesharing platforms in the world), and a deep-dive into deploying TiDB as a stateful application using Kubernetes. TiDB is built by the company PingCAP and its open-source community. As a special bonus for this meetup, TiDB will hold a business card raffle for a Google Home Mini at the end of the presentation. Our meetup host this month will be software maker Eleven. PLEASE RSVP on Meetup.com if you can, so that we can get a headcount for food. Please join us! RSVP on Meetup.com if you have an account. The 2018 Seattle GNU/Linux Conference is scheduled for November 9th and 10th at Seattle Central College. 9am-5:30pm both days. SeaGL is a grassroots technical conference dedicated to spreading awareness and knowledge about the GNU/Linux community and free/libre/open-source software/hardware. Our goal for SeaGL is to produce an event which is as enjoyable and informative for those who spend their days maintaining hundreds of servers as it is for a student who has only just started exploring technology options. SeaGL's first year was 2013. The cost of attendance is free. Attendee Registration will not require the use of non-free software. You may attend SeaGL without identifying yourself, and you are encouraged to do so to protect your privacy. Docker has become a very popular tool for deploying server applications. It aims to solve many problems with dependency management and drift between development and production environments, and make it easy for developers to deploy their software quickly. This talk is about how to use all of this wonderful convenience for evil. It will cover Docker containers and how they work (and how to infect them with malware), some services commonly used in Docker infrastructure and how to find and exploit them, and some Docker-specific post-exploitation strategies. It will also cover best practices for mitigating and detecting attacks on your Docker infrastructure and how to create a healthy security culture among your Docker engineers. Josh is a Linux security practitioner and developer based in Portland, Oregon. He works as a security engineer at New Relic, where he builds security visibility tools, breaks SaaS software, and helps developers build secure infrastructure. We have two talks for our event. For March, we're going to the talking about how to troubleshoot your containerized applications in production! Alex Lawrence of Sysdig will present a use-case driven demonstration on container visibility, troubleshooting and run-time security monitoring with the Sysdig open source tools (Sysdig, Sysdig Inspect, and Falco). Learn how containers work under the hood and how to fix them when they break. Sizzle Pie pizza supplied by Mozilla, our venue host. Please RSVP on Meetup if you have an account, so that we have a headcount for food ordering!